Arby’s, the Fast Crafted™ sandwich brand devoted to Meatcraft™, today launched a “loaded” version of its legendary Curly Fries. 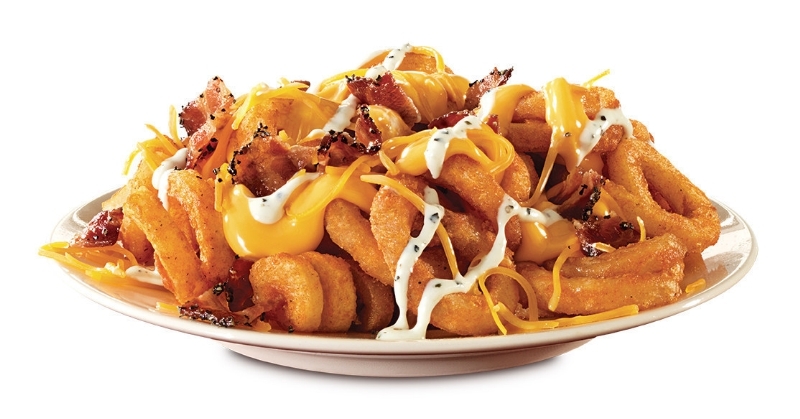 Arby’s® Loaded Curly Fries feature the same curly, crispy fries that guests know and love topped with warm cheddar cheese sauce, shredded cheddar cheese, chopped pepper bacon, and parmesan peppercorn ranch sauce. Arby’s® Loaded Curly Fries are available nationwide starting today. For more information on Arby’s® Loaded Curly Fries, other menu items and Brand news, visit www.arbys.com or follow the Brand on Facebook, Twitter or Instagram.